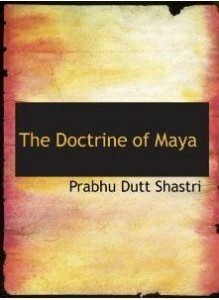 The Doctrine of Maya is the core principle in the Advaita Philosophy– the final pronouncement of Indian speculation on the conception of Reality and Appearance. In Advaita Vedanta philosophy, Maya is the limited, purely physical and mental reality in which our everyday consciousness has become entangled. Maya is held to be an illusion, a veiling of the true, the unitary Self. Maya in Hinduism seems to be similar to the Pali word for distortions (vipallasa). In Advaita Vedanta philosophy, Maya is the limited, purely physical and mental reality in which our everyday consciousness has become entangled. I am interested in vedanta Philosophy.